Meat Loaf is determined to watch his waistline after he collapsed during a live performance on ‘Anything for love’ in the Canadian city last month. He was taken to the hospital where doctors diagnosed dehydration as the main cause behind his fall on the stage. The star was on a tour to Alberta and had a number of gigs in Edmonton, Calgary and some other cities of the province which were later called off due to his illness. It is not first time when the American singer has cancelled his concert due to a health problem. 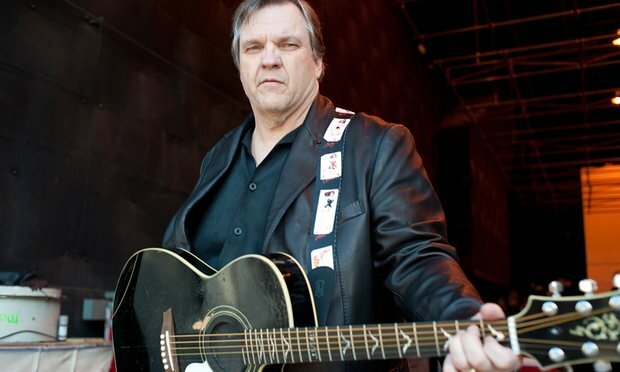 Michael Lee Aday, commonly known as Meat Loaf seemingly has been failed to keep up with his outclass stage performances due to different devastating injuries which have almost constantly kept him unfit throughout his professional career. In 2003, Wembley saw the star falling on the stage followed by a heart surgery in the same week of his collapse. Then a few years later in 2007, he refused to continue a live show in Newcastle explaining he was failing to continue with his performance due to side effects of steroids he had been consuming. He also announced his retirement from music. Somewhere in 2013, the star in an interview with a US magazine enlightened his medical problems which were keeping him away from music and ruining his on-stage struggles. The star said he wanted to give a comeback but his illnesses did not allow him to rope back in. He had 19 concussions and also went through a knee replacement which did not work well so the singer had to go through another one. According to Loaf, he literally could not walk from one room to another in his house. One of the musician’s close friends told the media, Loaf has decided to get rid of all these physical problems which are a great hindrance of his success in the music industry and so, he has promised himself to follow an intensive fitness program to stay fit. The star is feeling much better these days. Talking to different media sources, he said he has included acupuncture, physiotherapy and physical training to his routine and he believes it will make a productive change in his overall life. Loaf is having these sessions four times in a week and the duration of each session is of 90 minutes. Meat Loaf has a new album “Braver Than We Are” to come up soon. He is optimistic for his new release and is willing to do his promotions properly. Besides his wows for fitness regime, the sources also claim to have Meat Loaf soon announced about the reschedule of all the gigs which were cancelled due to his illness in past days.